Huawei will increment the model number of its flagship phone by 10 instead of one. Hence, the new top-line series will be called Huawei P20 rather than P11. The main draw is a triple-rear camera. A release is likely after the Mobile World Congress. Huawei has focused on the camera for many years. Partly, because of the importance of the camera in its home market China. The company established a partnership with Leica in 2016. Huawei P10 and P9 both possess dual rear cameras and many phone vendors now offer similar set-ups to enhance the wide angle or the optical zoom. 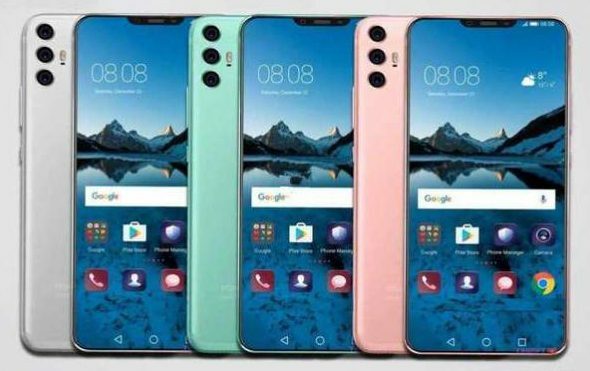 The new Huawei P20 will trump this by adding a third camera. The three cameras will be positioned vertically in one single column. Huawei will also introduce a plus model called P20 Pro (not Plus!). A Twitter leak by Roland Quandt, who has a good track record in terms of previous leaks, claim that P20 will be available in two colours: ceramic black and twilight. Quandt also thinks that there will be a P20 Lite version available in three different colours that will succeed P10 Lite. Huawei hasn’t confirmed whether it will launch the P20-series during MWC in Barcelona at the end of February. The question is whether it wants to avoid Samsung’s S9 launch or whether it decides to take on the Korean company head-on.